The DM-720 includes high quality features packed into an efficient, smart body. Equipped with an easy-to-use interface, editing functions that extend audio use, and various playback functions, this recorder provides outstanding practicality and reliability to support your business needs. The 3-microphone “TRESMIC” system available on the DM-720 delivers high quality sound recording. The recorder is also equipped with many more functions to further enhance sound recording quality. 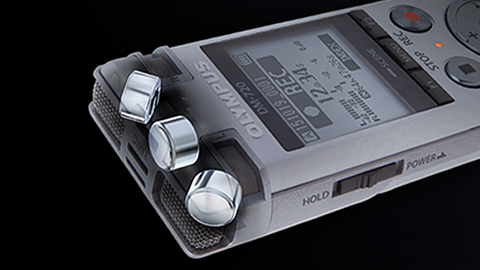 The DM-720 includes a variety of useful playback functions for all business situations. 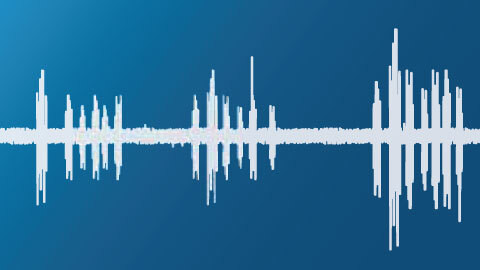 Functions include Voice Playback, to skip non-speech parts of your recordings, Voice Playback to ensure everyone in your recording is heard, and noise cancellation technology to remove unwanted ambient noise. The recorder includes an easy-to-use interface, and convenient functions that extend your use. 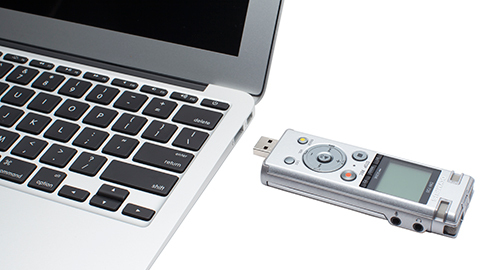 The DM-720 has a built-in USB connector with recharge function, expandable microSD memory, and voice guidance. A convenient clip stand attachment is included, to allow you to attach the recorder to a pocket or notebook.